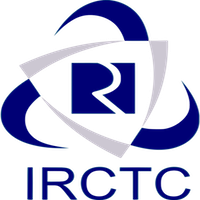 Online Application Details for Indian Railway Catering and Tourism Corporation Limited IRCTC Recruitment of 5 Group General Manager and 4 Chief Regional Manager is given below. Application form and duly attested documents are to be sent to The Group General Manager (HRD), Indian Railway Catering and Tourism Corporation Ltd., 12th Floor, Statesman House, Barakhamba Road, New Delhi- 110 001. In envelope super scribed with 'Application for the Post of Post Name'.